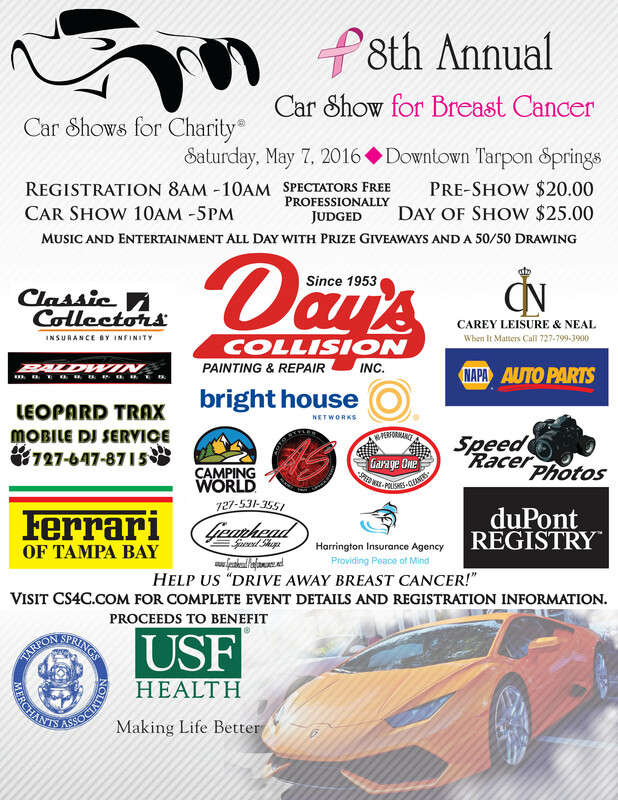 Auto Styles both sponsors and participates in many local Car Shows and related events benefiting various charities. Please check out our Event Photo Galleries to view pictures of events we have sponsored and/or participated in. Check back soon for updates on our Grand Opening Event in 2019! Help Drive Away breast Cancer! Music and entertainment all day with prize giveaways and a 50/50 drawing. Proceeds to benefit USF Health. Registration is from 8AM to 10AM. Car show from 10AM to 5PM. Pre-show $20, day of show $25. Spectators FREE! 27 – $15, Day of show – $20. Show hours 9:00am-3:00pm. Does your Car Club or Organization have an upcoming event? Auto Styles is actively involved in many local car shows, charity events and we are always looking for new events to be a part of. So if you have an event, we would like to hear about it and consider attending and possibly sponsoring if it’s a good fit. Please tell us about it by completing the Form below.